Why it's great: Give this product one week, and your dry, flaky scalp will be a thing of the past, according to one TotalBeauty.com reviewer. This tingly formula leaves scalps feeling "invigorated" and makes hair look "healthy." Readers appreciate that the relatively low-priced shampoo provides the same "immediate gratification" of more expensive dandruff treatments. "The flakes ceased after the first shower," reports a reviewer. Agree? Disagree? 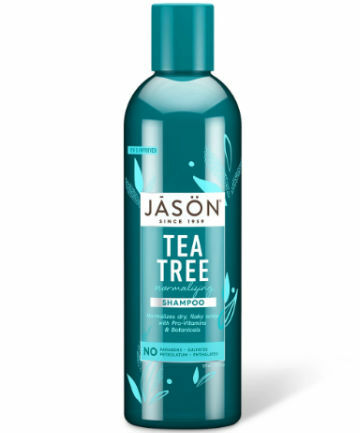 Write your review for Jason Tea Tree Scalp Normalizing Shampoo here.